There is no shortage of spa rooms for rent in any decent-sized city. It’s the new trend in the beauty industry, and new trends take on a life of their own until, well, a new trend comes along. So there are many to choose from. The trick, then, is to find a spa room for rent which meets your immediate and long-term needs. This article should help you to make a decision, and if you have further questions, call us at (817) 823-7105 and we will be happy to answer them. We are Salon & Spa Galleria, serving the Greater Fort Worth area, so we do have a perspective based on first-hand experience. What do you need in a spa room for rent? There are so many factors to consider, some objective, and some subjective, so the needs will differ from person to person. Still, for this article, we can look at some of the major considerations before choosing a spa room rental. Budget will always be a consideration. What can you afford for a salon suite? The beauty of this new trend is that it was born from a need for inexpensive “digs” for talented professionals in the beauty industry who want their own business but cannot afford start-up costs for a retail property for lease. At Salon and Spa Galleria, our base spa units begin at $50 per week in select occasions. That should give you a base figure to work with as you shop around. 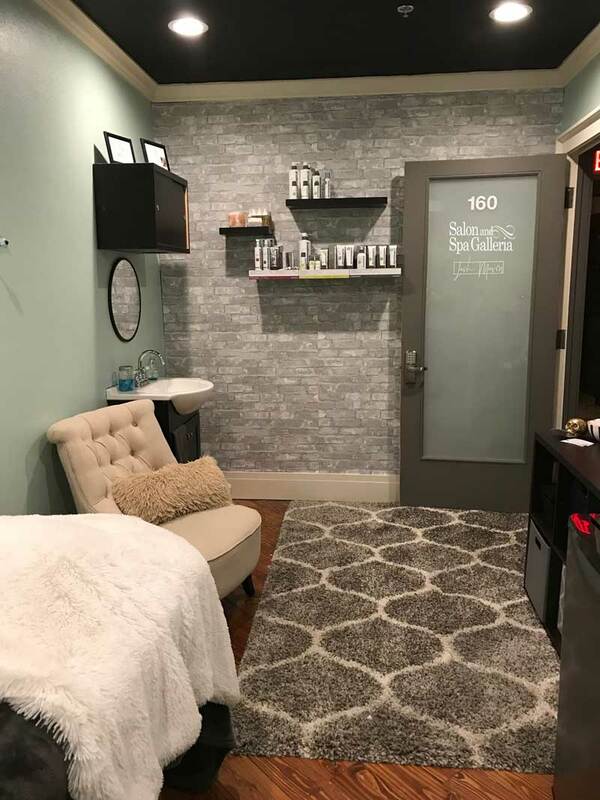 Location is also important when considering a salon booth for rent, and in this case the location is only important and valuable if it is near to prospective customers. In other words, it must be easily accessible for your target audience. Again, with Salon and Spa Galleria, there are ten locations to choose from, so we feel we have any target audience in the DFW Megaplex covered like a blanket. Next to consider are amenities; what does the spa room rental give you for your buck? This is usually where you separate the good deals from the bad for spa rooms for rent, and this is where shopping around for spas really pays dividends for you. What is included in your spa rental deal? Are utilities included? How about equipment? What kind of access to your suite? Is there a full-time concierge? How about an on-site washer and dryer so you don’t have to drag towels and such home to wash? A television in your spa room? WiFi? And what kind of marketing assistance will you be getting for your salon booth rental prices? This is where Salon & Spa Galleria skyrockets passed the competition. We are truly a turnkey operation. We provide practically everything you need to start your business within weeks. We want our customers to be fully prepared before they hang up that “Open” sign on their business. So there you have some points to consider when looking for spa rooms for rent. Take your time so you make a wise decision. This is, after all, your future we are talking about, so no rush. And call us at (817) 823-7105 if you have more questions.